What is a Signature Sound? 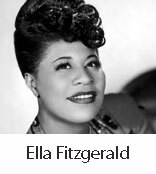 Examples of singers with an undeniable signature sound: Ella Fitzgerald , Paul McCartney, Joe Cocker. Renee Fleming, Hozier, Adele, Peggy Lee, Rosemary Clooney, Tony Bennett, Frank Sinatra …. Book vocal coaching with Brian.